Four years of meticulous planning, and it all came down to one moment: the lighting of a gigantic fuse. On June 4, 2010, Matt Desch, CEO of satellite communications company Iridium(s irdm), sat in his McLean, Va., office staring into a computer screen at a live video feed of a 368-ton rocket idling on a launch pad in Cape Canaveral, Fla. The telecom veteran had staked Iridium’s future on a $3 billion plan to bring the company’s aging constellation of satellites into the 21st century. A key part of that plan was getting 72 next-generation satellites into orbit, and it was this rocket, now preparing for its maiden flight, that would eventually carry Iridium’s precious cargo into space. In selecting a company to launch his satellites, Desch hadn’t opted for a tried-and-true aerospace player like Arianespace or International Launch Services. Instead, he had decided to go with the upstart Space Exploration Technologies, better known as SpaceX. Why? SpaceX had offered to launch the six-dozen satellites for half what the established players were charging, saving Iridium half-a-billion dollars. But the decision carried a huge amount of risk. While SpaceX’s entrepreneur-founder Elon Musk was already well known for his ambitious goal of privatizing space travel, his company at the time had had more failures than successes. Its previous-model rocket, the Falcon 1,misfired on each of its first three launches: the first caught fire, the engine on the second died, and on its third launch, the rocket’s two stages collided. Those failures sent the company teetering toward toward death, saved only by the Falcon 1’s fourth, successful, launch. Now, Desch and Iridium were about to see whether SpaceX’s newest rocket, the Falcon 9, was more reliable than its predecessor — and the months leading up to June 4 hadn’t been very reassuring. The rocket was supposed to have embarked on its first flight in November of the previous year, but that launch had been postponed 10 separate times. The rocket had finally reached the pad, but as Desch watched from his office, there had already been one false start, the launch aborted due to an errant sensor reading. If SpaceX couldn’t light the fuse by 3 PM, the mission would have to be rescheduled once again. Another string of failures could endanger Iridium’s exacting launch schedule, or worse, send SpaceX spiraling into bankruptcy and Iridium scrambling to find another launch provider. The biggest concern, though, was the reaction of Iridiums’s bankers. 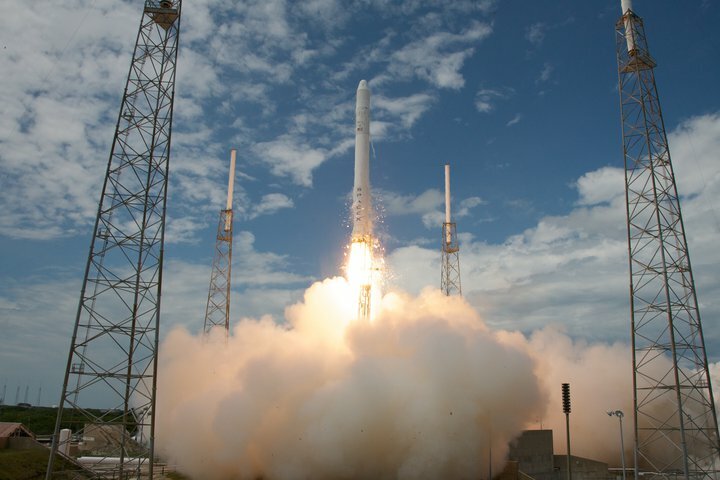 Desch had negotiated a $492 millon contract with SpaceX — the largest commercial launch contract in history – but because of SpaceX’s track record, the consortium of European banks underwriting the whole project wanted to see a successful launch of the Falcon 9 before they put pen to paper. Fifteen minutes before the launch window closed, the Falcon 9’s first-stage engines ignited and the rocket lifted off. Six minutes later it achieved its target altitude and placed a dummy capsule in orbit 155 miles above the Earth. The normally stoic Desch let out a cheer of elation. Outside his office his employees celebrated — high fives all around. A week later, Desch was in Paris hamming it up with the bankers, and true to their word, the financiers signed off on the contract. When Musk attended Iridium’s investor conference in New Orleans later that year he was treated like a superhero — it was like “having Tony Stark, a real-life Iron Man” in the room, Desch said. The following is the never-before-told story of how Iridium placed a huge bet on SpaceX that wound up paying off. In a series of interviews, Desch shared with GigaOM the details about how a satellite communications company struggling with its future found common cause with a scrappy startup that wanted to broaden the frontiers of space exploration. Iridium didn’t need SpaceX to survive, but by placing its faith its Elon Musk’s company it found a way to overhaul one of the largest satellite constellations in the heavens on a shoestring budget — and trade up its old voice-centric business model for one focused on data. In exchange, SpaceX got the major contract it needed to firmly establish itself as a powerhouse in commercial space flight. At that point it was clear that satellite telephony wasn’t going to even compete with cellular, much less replace it. There was a good chance that Iridium’s $5 billion to $6 billion network would have been decommissioned entirely, letting the satellites fall out of orbit and burn up in the Earth’s atmosphere, creating one of the most spectacular pyrotechnics display the world has every seen. But at the last minute, a consortium of investors bought Iridium’s extraterrestrial assets for pennies on the dollar and restarted satellite phone service in 2001 with much more modest ambitions. 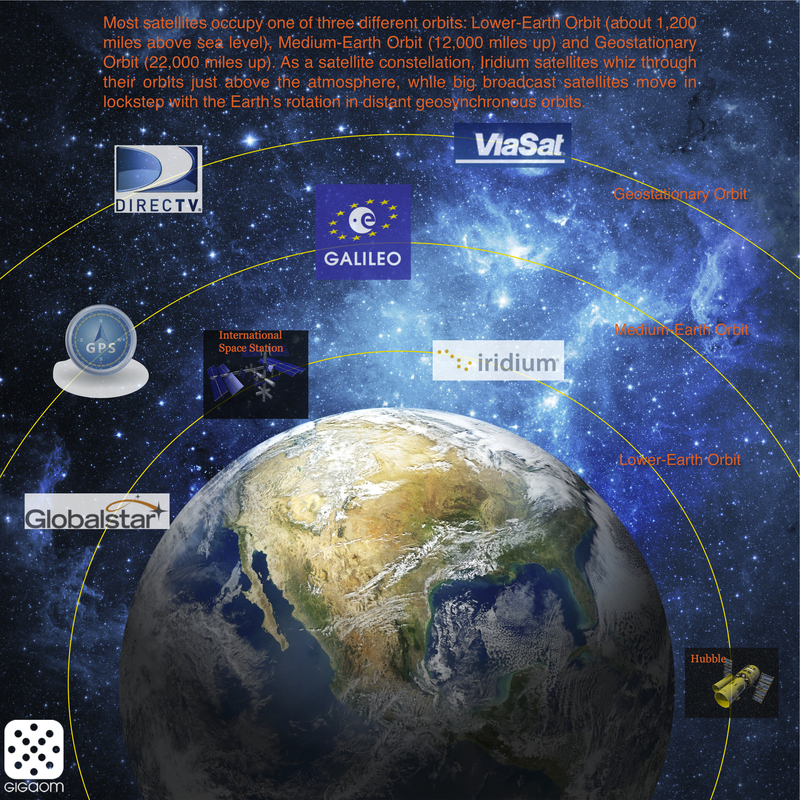 Iridium isn’t your typical satellite communications company. It’s not tossing a few satellites into orbit that are hovering at fixed points above specific continents. Instead, it operates a constellation of 66 birds that cover the entirety of the Earth’s surface from pole to pole. Each satellite travels at an orbital velocity of 17,000 mph on dispersed planes that intersect on the Earth’s axis, meaning no matter where you’re standing – or floating — on the surface of the earth, you’re in view of multiple Iridium satellites. That kind of network may not be useful to your typical consumer or business user, but it’s extremely attractive to a certain set of professionals – military, international contractors, merchant marines, field scientists and surveyors – that travel to the far corners of the globe. When Desch took over as CEO in 2006, Iridium had cemented a close relationship with the U.S. Department of Defense, and was expanding into the private sector. He took the company public, made it a profitable venture, and expanded the company’s portfolio to include data and machine-to-machine services communications (for companies or organizations that want to keep track of their assets even when they are in the middle of the ocean or in the remotest jungle). Desch has doubled Iridium’s subscribers to 576,000 in six years, according to the company’s last earnings report. Iridium has some big accounts like FedEx(s fdx) and UPS(s ups) but many of its customers are smaller outfits. Iridium satellites track dog sleds as they race across Alaska in the Iditarod, and they provide crucial communications for the relief workers of the International Federation of the Red Cross and Red Crescent Societies in war-torn and diaster-stricken regions of the world. Desch started his career at Bell Labs 30 years ago, and since then he’s made the rounds through the telecom industry. He was president of the now defunct Nortel Networks’ wireless division, where he oversaw the construction of some of the world’s biggest 2G networks. In 2002, he was tapped to become CEO of Telcordia, the former research arm of the regional Bell phone companies. He sits on President Obama’s National Security Telecommunications Advisory Committee and has either chaired or sat on the boards of pretty much every U.S. telecom industry trade and standards organization. Desch grew up during the Apollo Moon flights, and has always been fascinated by anything that flies. Though he’s never left the troposphere, he pilots his single-engine Cessna T210 several times a month. When discussing Iridium, Desch never fails to mention that the satellite constellation has become an object of obsession among star gazers. All of Iridium’s satellites have flat, door-sized, highly-reflective antennas. When those antennas catch the sun’s rays just right they produce a “flare” 3o times brighter than Venus in the night sky. When Desch accepted his new role at Iridium, he was almost immediately handed a huge task: to replace Iridium’s aging constellation with a new generations of satellites. It’s current network is already well past its anticipated operational lifespan of seven to 10 years, and several satellites have already malfunctioned or have tumbled back into the atmosphere. Iridium 33 was decommissioned in a more dramatic fashion in 2009 when it collided over Siberia with a defunct Russian communications satellite at 22,000 mph. Iridium replaced those defunct or lost satellites with in-orbit spares, and Desch said that the company could keep the current fleet going until 2017 when it hopes to complete its replacement. But there is definitely a sense of urgency. Iridium may be able to squeeze some more operational life out of its satellites, but it doesn’t change the fact they’re already obsolete. In the last 10 years, mobile communications has shifted its focus from voice to mobile broadband. Satellite broadband technology has made huge leaps. ViaSat(s vsat) in October put into orbit a satellite with a total network capacity of 140 Gbps, allowing it to offer speeds up to 12 Mbps to customers on the ground. Iridium’s closest competitor Globalstar, which runs a constellation of 40 satellites, is already one-third of the way through its next-generation satellite deployment. Globalstar’s orbiters only support speeds of 256 kbps, but even those sub-broadband connections put Iridium at a significant disadvantage. Iridium’s network can only support a 10 kbps earth-to-orbit connection, which is pretty much the speed of a 1990 dial-up modem. That might be fine for downloading email without attachments from an ocean-bound oil tanker or sending out the GPS coordinates of a polar expedition. But in an age of multi-megabit connections to smartphones, those speeds just don’t cut it. Between 2015 and 2017, Iridium plans to replace every single one of its 66 current satellites with new Thales Alenia-built orbiters, and also throw up six spares. Called Iridium Next, the constellation will boast device connection of speeds of well over 1 Mbps to mobile devices and 8 Mbps to dish antennas, and will significantly boost the capacity of the overall satellite grid. When the constellation is complete, Desch said, Iridium will be the only communications company in the world that can deliver a megabit or more of a bandwidth to any point on the globe. To get such a huge payload into low-Earth orbit, Desch didn’t just need a launch provider to supply multiple rockets, he needed one that could reliably send those rockets into space every few months starting in 2015. Once Iridium puts its first batch of satellites into orbit, the others need to go up in rapid succession. Iridium’s satellites aren’t just bouncing signals back down to the Earth’s surface. They’re inter-networked. They’re passing calls among one another in a cosmic game of hot potato until one of those satellites flies over one of four ground stations where it finally connects the call to the terrestrial network. Having a 1 Mbps connection to a new satellite does little good if the satellite completing the chain can only support dial-up speeds. So Iridium Next won’t be open for business until the full complement of 66 new satellites is in orbit. Finally, Iridium had to buy those launches on the cheap, according to mobile satellite services analyst Tim Farrar. 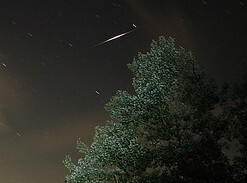 The original Iridium constellation in 1999 was a multi-billion-dollar debacle. So Iridium is determined to get its next-generation network up on a $3 billion budget, Farrar said. “Iridium really had to go with SpaceX, because more established players have found their launch services in heavy demand in recent years and so have been raising prices,” Farrar said. For $492 million, SpaceX would deliver eight launches, while any other rocket supplier would have charged $1 billion for the same services, Desch said. But Iridium also hedged its bets. It contracted with ISC Kosmotras — a launch consortium between Russia, the Ukraine and Kazakhstan — to serve as a second launch provider and as a backup in case SpaceX is delayed. Still, it wasn’t an easy decision, Desch said. Iridium first started negotiating with SpaceX in 2006, when its rockets started falling out of the sky. It wouldn’t matter how much of a deal SpaceX cut if it couldn’t deliver a reliable launch vehicle or ceased operations. “Our view was always that SpaceX was going to be successful,” Desch said. “What we weren’t sure about was when they would be successful.” Iridium had some leeway since its first launch wasn’t scheduled until 2015, but it couldn’t push its launch date out much further. At that point Iridium’s old orbiters would be 15 years old, long past their original expiration dates. It needed to get the new birds up but before the old ones start failing en masse. Iridium is by no means Space X’s most important customer — that would be NASA. Nor is Iridium SpaceX’s first commercial satellite customer. But the size and scope of the Iridium deal were key to establishing the fledgling aerospace company as a heavyweight in the commercial launch industry, said SpaceX President Gwynne Shotwell, who led negotiations with the satellite operator. 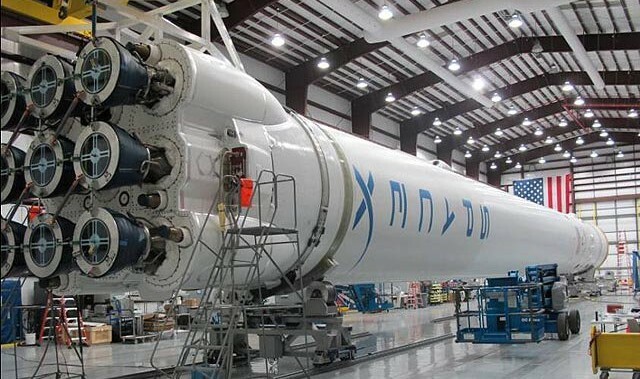 Earlier this month, Iridium revealed in its second-quarter earnings call that it was canceling its first Falcon 9 launch, and had decided to go with backup ICS Kosmotras for its first flight. Desch said there were no problems or delays; rather Iridium was just minimizing costs. By packing 10, rather than nine, satellites onto each SpaceX rocket, Iridium says it can reduce the number of launches from eight to seven, saving an estimated $15 million. But Desch added that Iridium also wanted to buy SpaceX more time. Ironically, the greatest risk to Iridium now isn’t the possibility of SpaceX’s failure, but the possibility that SpaceX becomes too successful, according to satellite communications analyst Farrar. SpaceX has been on quite the roll lately. It hasn’t suffered a single failure in its three Falcon 9 launches, the last of which delivered the company’s Dragon spacecraft to the International Space Station on a resupply mission. Earlier this month, SpaceX won the ultimate prize: a $440 million contract from NASA to design a manned spacecraft to shuttle its now-grounded astronauts into orbit. When asked if SpaceX’s recent success jeopardized Iridium’s tight launch schedule, Desch laughed. He admitted that he freaks out a little when Musk goes off on one of his soliloquies about exploring other planets or talks up new rockets like SpaceX’s Falcon Heavy designed to propel astronauts on their extraplanetary adventures. Desch just needs to get to low-Earth orbit, not Mars. A good part of what sunk Iridium the first time around was the cost of building the original constellation: the satellites and launching them into orbit cost roughly $6 billion (in 1997, figure about $9 billion today). The new (current) Iridium was formed by investors buying the assets out of bankruptcy for $25 million–not pennies on the dollar, but a few tenths of a cent on the dollar. The new Iridium was able to make a profit because they got a working system for so little and immediately signed up a sugar daddy for a customer, the Department of Defense (currently responsible for about 25% of revenues). Even at a “mere” $3 billion for a new constellation, I wonder if Iridium could sink again. That was very detailed and well written. I wish we could have your level of journalism in all areas of the news. Couldnt agree more with your comment, a great read about a fascinating industry! So good to see companies actually investing in order to provide a needed services versus so many that just seem to be playing financial games of short term smash and grab. The more commercial development of space the better.. Yes, investing seems by and large to be a lost art form for both our government and most corporations. It fills me with hope to see SpaceX doing the right thing, and getting rewarded for its vision.